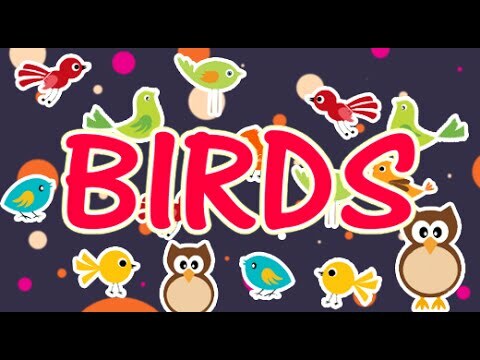 Learn about all the birds around us. a bird sitting on a tree, And so they all decide to go and explore the world of different birds. The Parrots are in many different colors, parrots feed on fruits and can imitate human voices. The Cuckoo bird has a sweet voice. The Woodpecker has long beak,it feeds on insects. Woodpecker's can drill deep holes in the wood. The peacock has a long tail, peacock's love to dance when it rains. Peacock are the most beautiful bird. The Sparrow are small birds, sparrow make their nest with grass and twigs. The Crows are black in color, crow's feed on garbage and other foods.